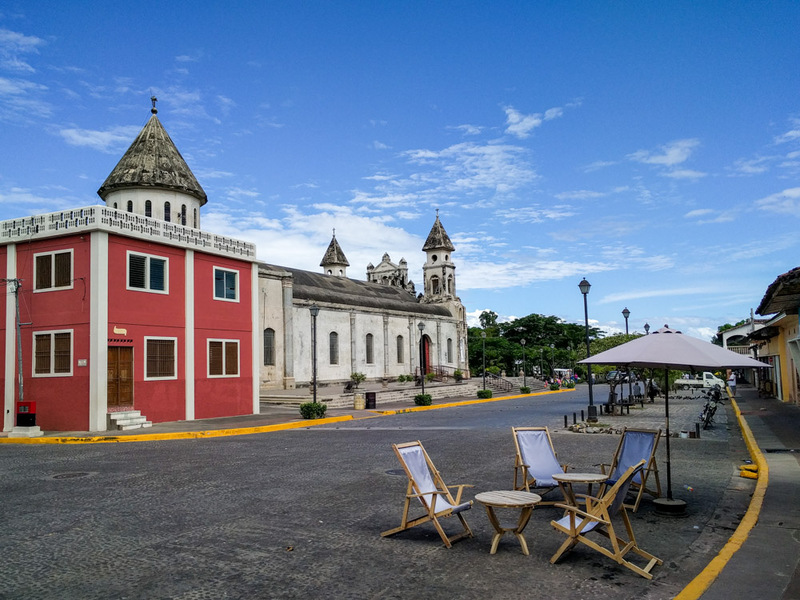 At our second stop in Nicaragua at Laguna de Apoyo, Pete picked up a worn book among many that sat on a table in the lobby of our small hotel. This looks interesting, he said, tilting it in my direction after he found me lounging on the shores of the Laguna. 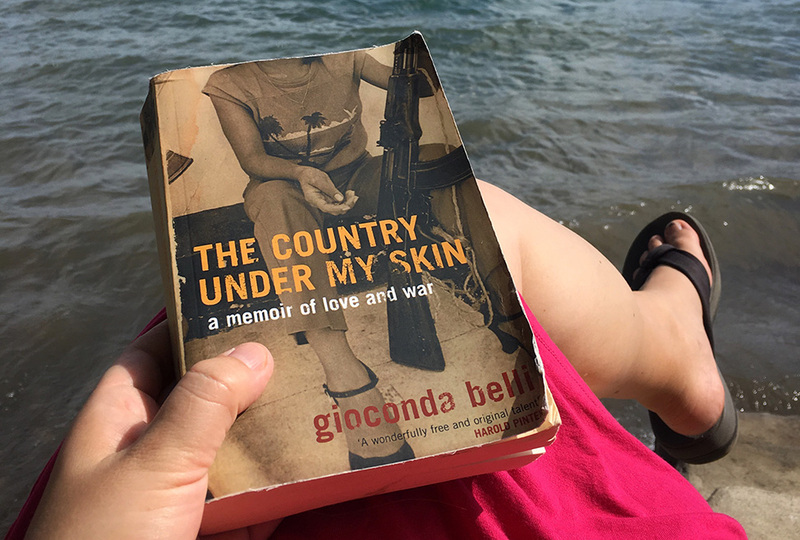 On it was the faded image of a woman’s slender legs and stilettoed feet with a machine gun propped between them.It was The Country Under My Skin by Gioconda Belli, an autobiography of her involvement in the revolutionary movement of Nicaragua under the Somoza dictatorship. Yeah, I’ll be reading this one, I said to Pete and impolitely snapped it from his hands. I am not the ravenous reader that I once was, but I do go through spells of mass consumption; and then there are times when setting and timing perfectly align for specific pieces of literature. I had never heard of Belli or her book, but as I sat on the shores of a dormant volcano in Nicaragua, I hugged it close to me. Before I turned the first page, I knew that I was going to love it. I had never heard of Belli or her book before, but as I sat on the shores of a dormant volcano in Nicaragua, I hugged it close to me. We had scheduled two nights at the Laguna, a respite from the busyness of our four previous days in Granada, and just ahead of our journey north to the city of León. 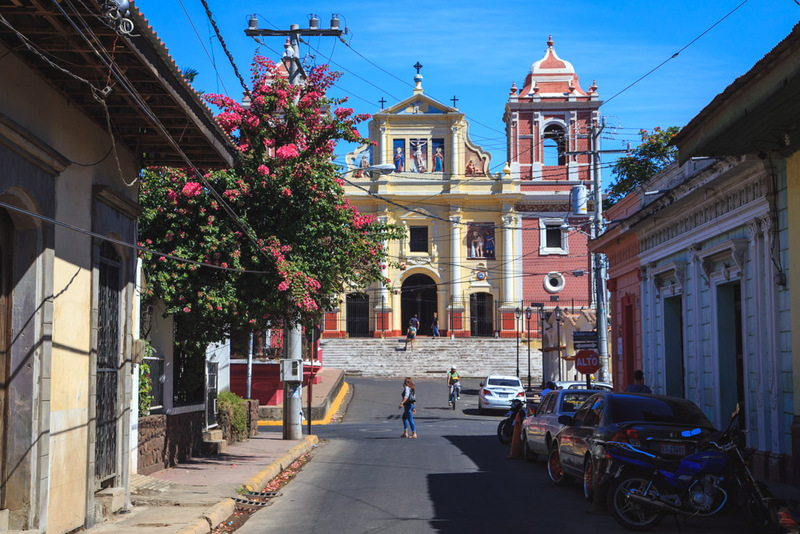 Although the itinerary was hatched rather indiscriminately just a couple of weeks before, it ended up being rather optimal in terms of pace and in keeping with the timeline of the book.Granada, dressed up to please the everyday tourist, made for an ideal first stop. 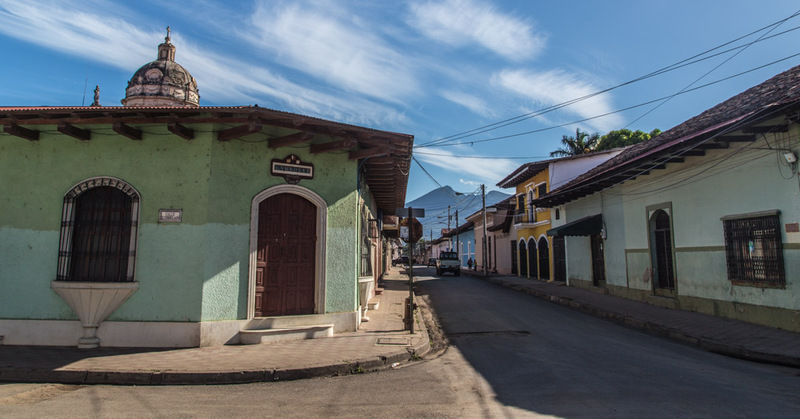 Our introduction to this new-to-us country was a warm one, reminding us of our deep love for Latin America. 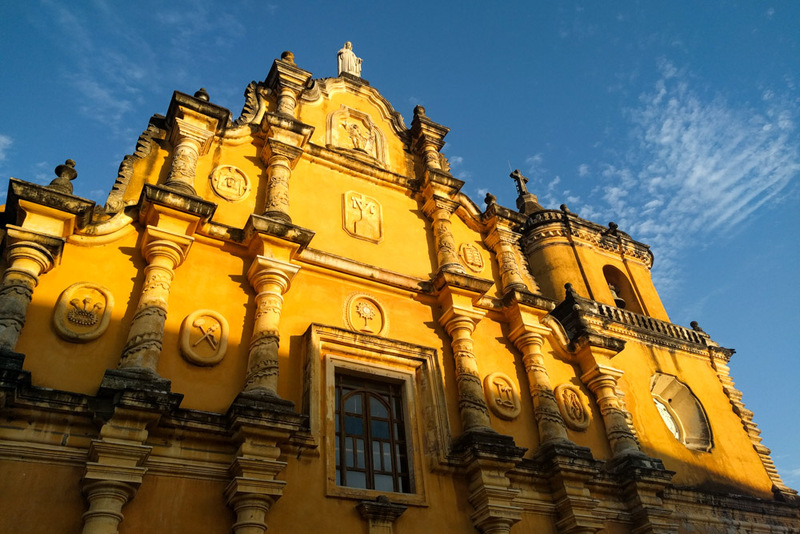 The colourful colonial buildings, the marvellous church-top views, and yes, even the familiar firecrackers and loud music that kept us from very deeply sleeping. 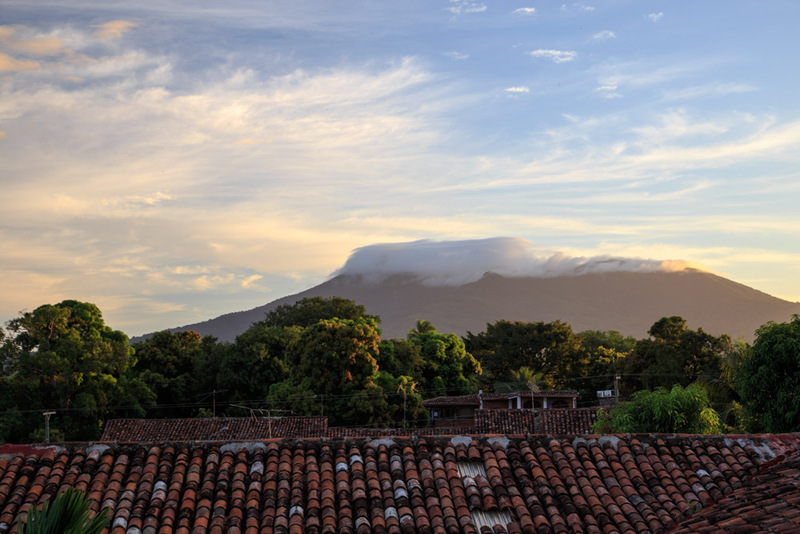 Volcano viewing and hiking options were in large supply and expat restaurants crammed the central core. Nicaraguan Disneyland is what I heard one long-term resident say further on during our trip, and I think that is a fairly accurate description. After our second query for where to get good local food in Granada was met with stammers and shrugs, we knew that our quest for a deeper knowledge of the country would not be fully sated there. We enjoyed our time in Granada – please don’t interpret that as anything else – and I’m especially glad we started there. 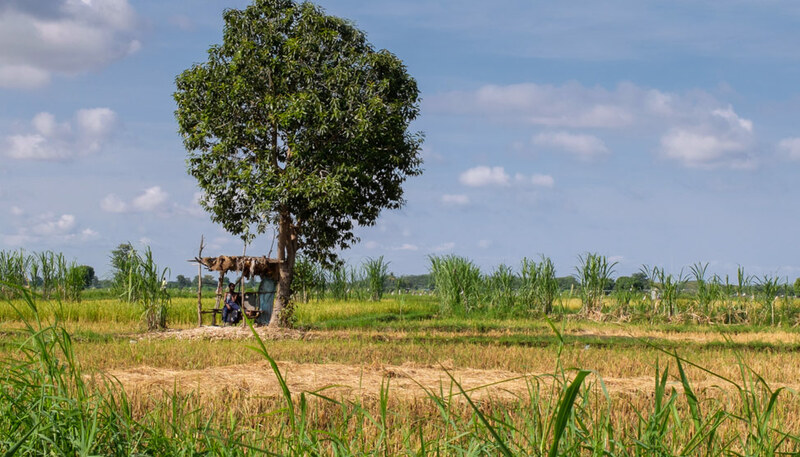 But as I got further into Belli’s book and started to get a deeper view of the country, I knew that we did not osmose much culture beyond the colourful facade. And I really wanted to know more. Our introduction to this new-to-us country was a warm one, reminding us of our deep love for Latin America. 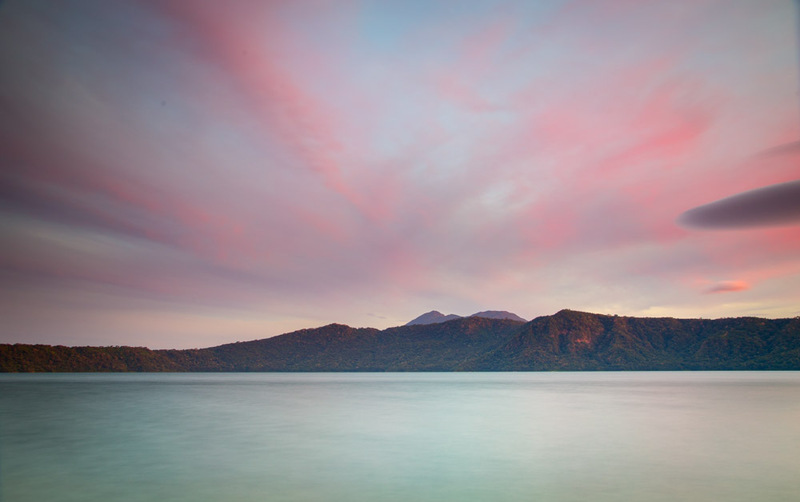 Laguna de Apoyo was only a few dozen kilometres away, but a vast world apart. The area is designated a nature reserve to protect a sapphire lake settled in a volcanic crater. The lake is said to be one of the cleanest in the country, and several lodges grace its shores as peaceful retreats.Removed from the noise and heat of the city, we absorbed the silence and spent our days in ceaseless loll. Our one bit of activity, to take the kayak out on the choppy water, took us hotel and secret beach spotting, where we saw little activity in the former and local kids playing along the latter. After disposing of the kayak we romped around a little on our own; I picked up an inner tube and bounced around in the choppy waves. For several minutes I fervently kicked myself out at such an angle that the waves would push me back in before I did it again. The water was warm like a bath, heated by the hot springs embedded in the area. Back on shore I picked up Belli’s book and it began with her upbringing in the elite of the capital city of Managua. 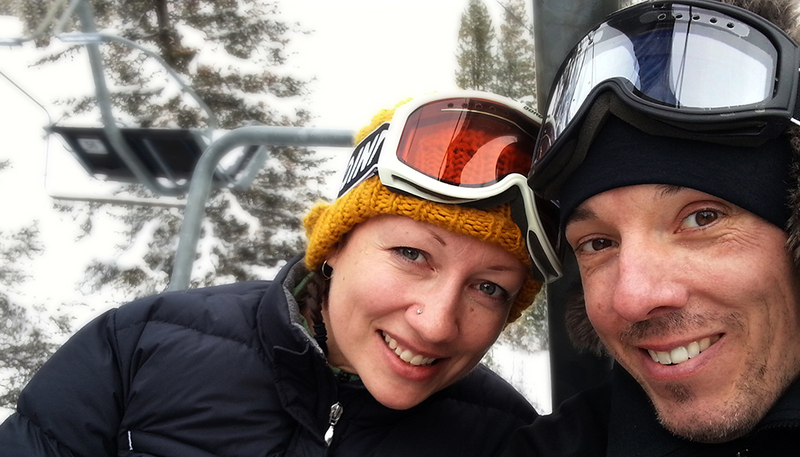 The following day we left the Laguna, headed north, and raced through her home city. I scanned every street trying to pick out some of the exact things she described. Our next destination, aptly so, was the revolutionary city that, like Belli, wears its heart and scars for all the world to see. We had a few days to spend in León. Removed from the noise and heat of the city, we absorbed the silence and spent our days in ceaseless loll. 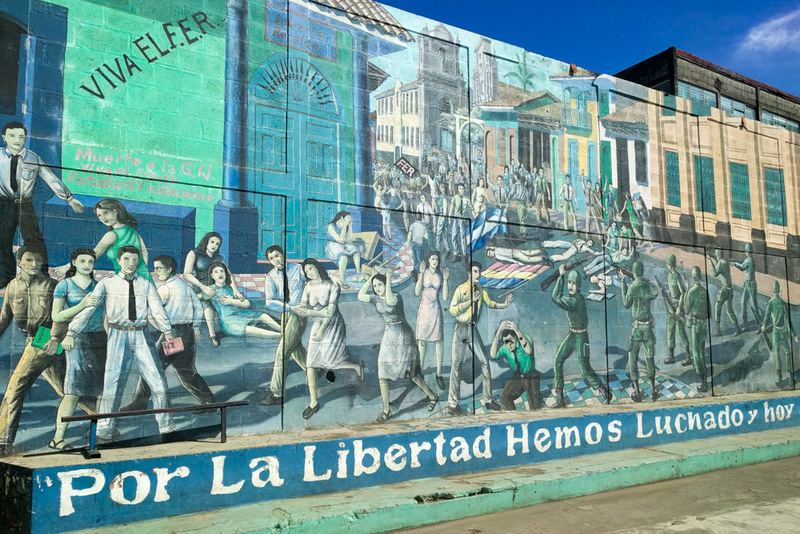 León is a largely liberal city and played a pivotal role in the overthrow of the Somoza dictatorship. 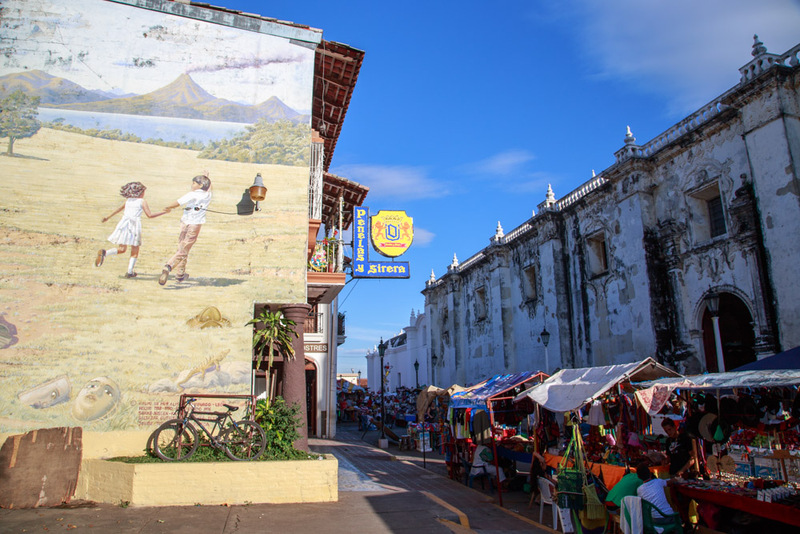 As the first city to be liberated, murals and graffiti coat the historical centre as educational depictions and in pride of the role its citizens played. It was there that we stood on street corners where protestors were shot down. It was there that we learned more details of the abominable US involvement during and following the crisis. 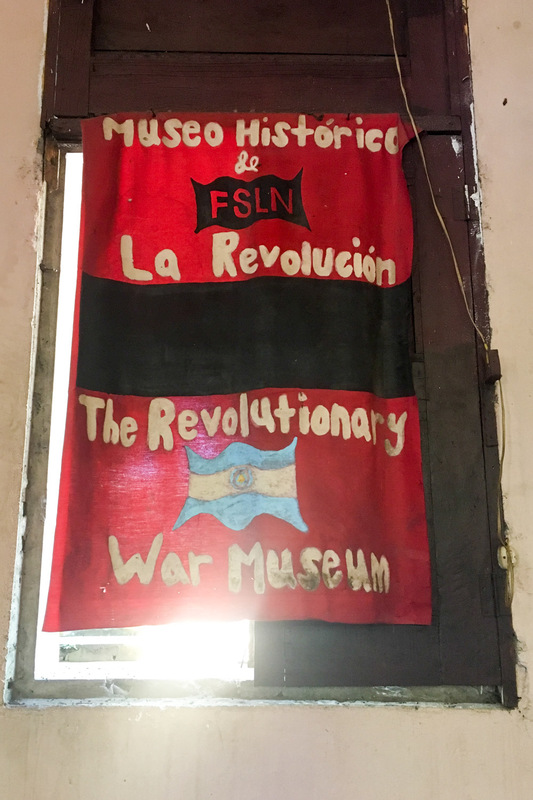 And it was there where we met Francisco.Francisco, along with many of the guides at the city’s Museo de la Revolución, was a member of the guerrilla forces that powered the rebel Frente Sandinista de Liberación Nacional (FSLN) to victory. 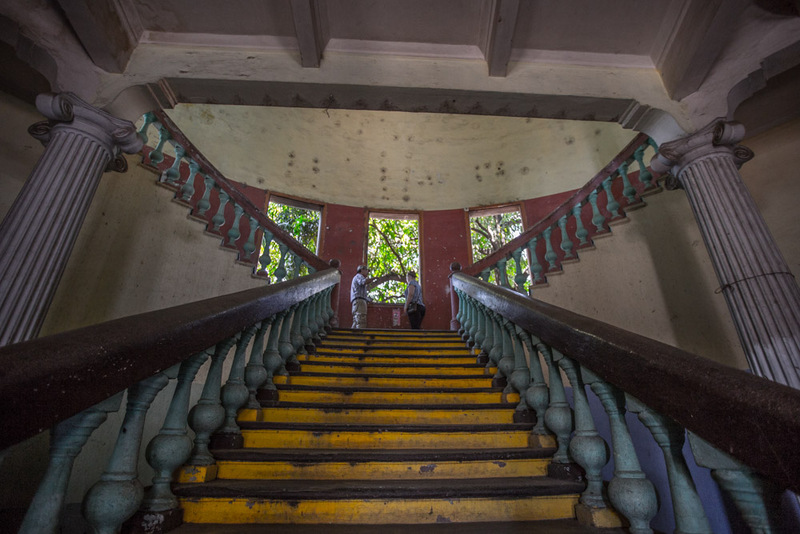 He led us through the dilapidated and bullet-ridden rooms of the museum that stand as living testaments to what the city endured. 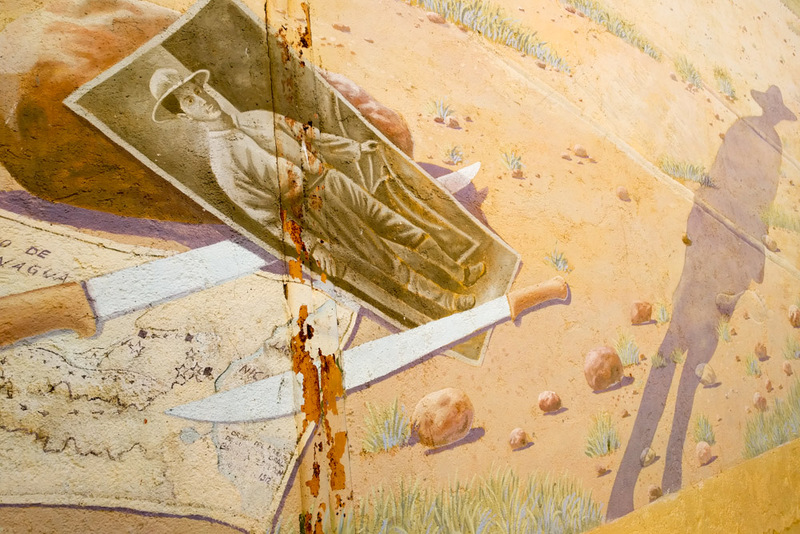 The newspaper clippings, photos, and other relics, though thoughtfully arranged, were old and wearing thin. Pete and I tried to read as much as we could with our limited Spanish, but most often just stood and uttered in awe of what Francisco was telling us in his perfect English. Francisco told us of his decades of involvement, and revealed his struggles with PTSD, which is not at all surprising given the devastating affects of the revolution and the fallout that continued. 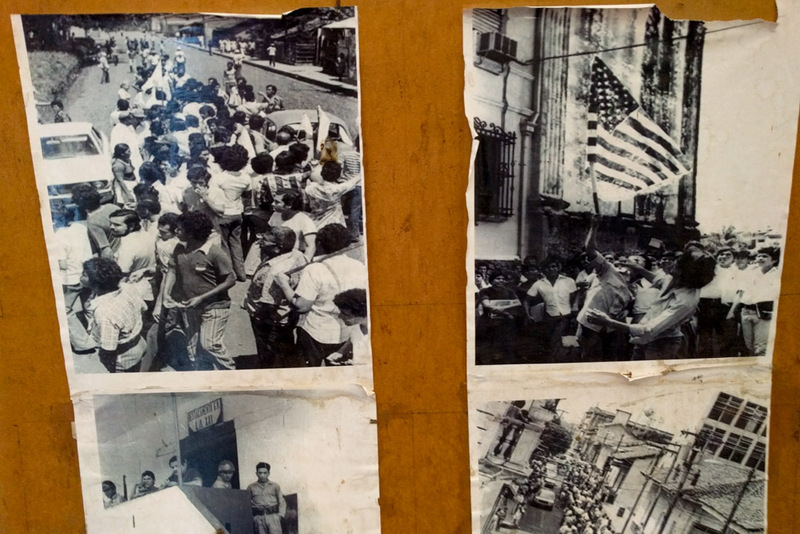 León is a largely liberal city, and played a pivotal role in the overthrow of the Somoza dictatorship. 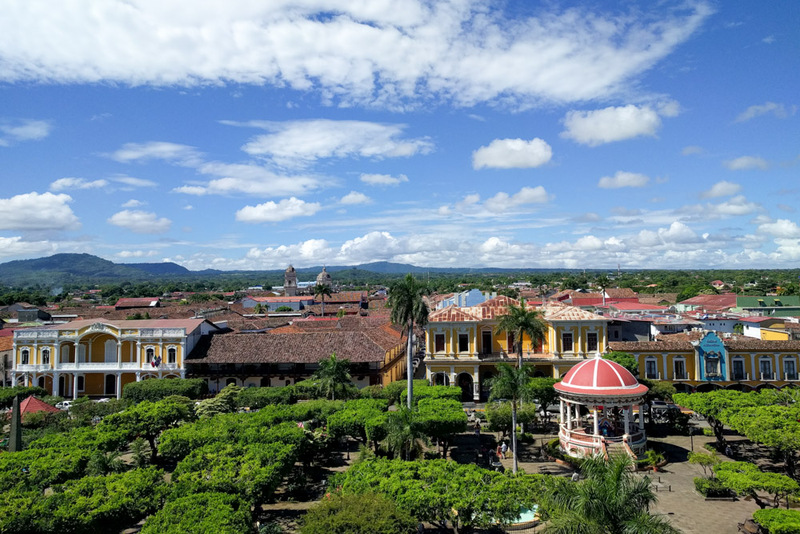 As Francisco wrapped up his tour of the Museo, he asked if he could take us up to the roof for an elevated view of the city’s central square below. Never ones for missing such an opportunity, we climbed narrow stairs until we felt the hot sun beating on us once again. I paused at the top step, unsure of where to walk next. 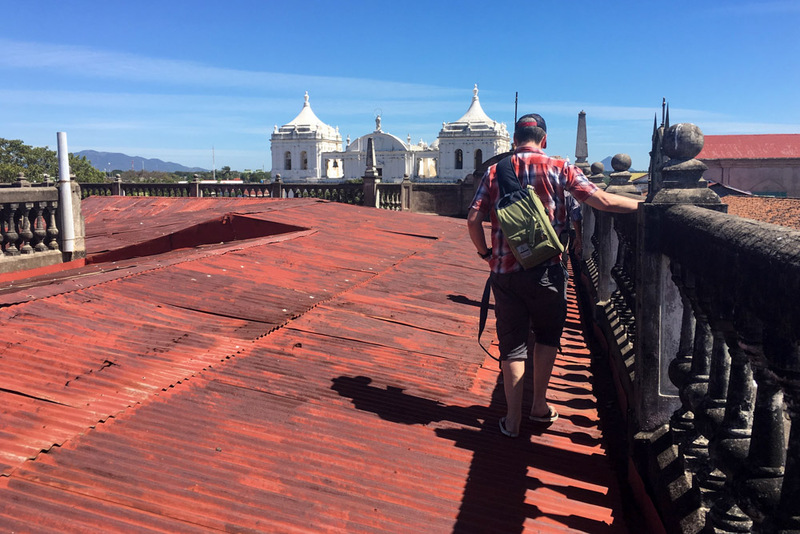 Before me was a slanted rooftop made up of rusty corrugated metal slats starting at each side and meeting at a peak in the middle.Don’t worry, this is perfectly safe, Francisco said as he took the lead, strolling on the dicey rooftop and waving us forward. I crept along the edge, hugging the cement parapet and keeping my eyes directed at my feet, stepping around small holes in the metal and avoiding the most rusty spots. 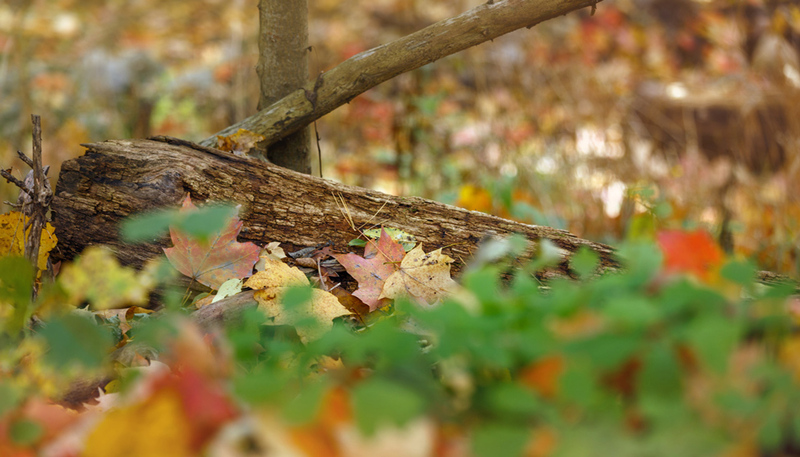 When he crossed over the middle I followed closely and tiptoed in the invisible footprints he left behind. It was unbearably hot at midday, but when we reached the other side, we lingered to watch all of the activity below. Feeling braver, we followed him again to the far side for an opposite view. It is safe, Francisco kept insisting, but if you fall through, don’t worry. We have free health care here. In between excursions in León, I devoured pages detailing Belli’s involvement in the rebellion that saw her expelled from her own country, separated from her daughters, and in and out of several important relationships that each carried an intensity not dissimilar to the love for her country. Her country is vastly ahead of where it was, but not without current dilemmas. She attests to problems and mistakes made on both sides that have provided for many of the challenges. Decades of conflict and natural forces also kept the country in ruins for a significant amount of time. New power struggles keep it from progressing to where it might otherwise be. 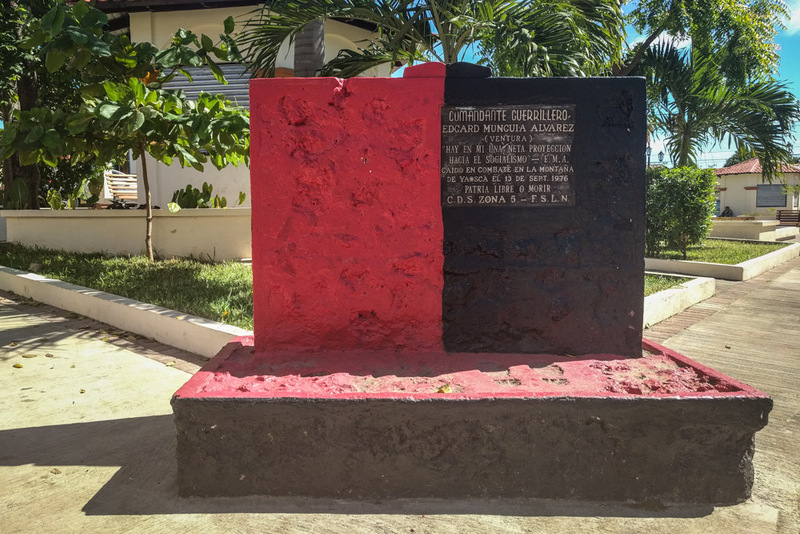 Black and red are symbolic colors of the FSLN and can be seen throughout the country. It’s not often that we leave a destination with such knowledge from such a short time frame, nor such inspiration to see our own world in a different way. I have admitted before that I am so intrigued by revolution – maybe because I feel it is inevitable within my lifetime, and I wonder if I will have the courage to stand and face it. Especially now, I think I might. Granada: We booked an Airbnb apartment for our stay here, chosen for its location near the centre and because it had a plunge pool right inside the apartment. 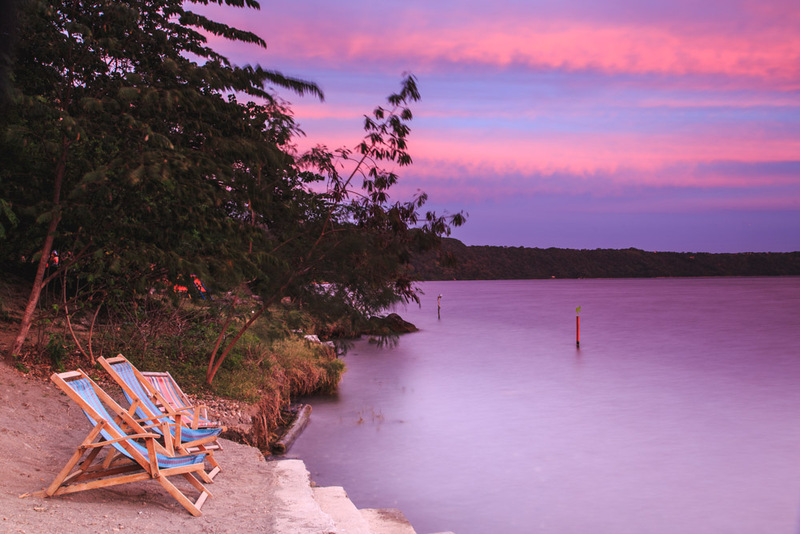 Overall it was a comfortable stay, and the pool was used quite frequently.Laguna de Apoyo: As you might have guessed, this was probably our favourite stop and was also our favourite accommodation. Casa Marimba is a small and quiet hotel with just a few rooms and delicious meals onsite, we wished immediately upon arrival that we had booked at least one more day here. León: We again were in a small hotel near the centre, although Hotel La Posada del Doctor was a bit of a miss for us. Although clean and comfortable, with great breakfasts and friendly staff, the room was barely big enough to turn around in and the street was quite noisy. It is savoury, wild, and a luminous spirit.